Success in any field is best achieved when work is done in a team. Many successful people in this world wouldn’t have been able to reach heights, had they not been backed by great teams of associates, partners and colleagues. When a team works well, the outcome is much better than what individual members can accomplish. Team work is critical to any organization’s success. Every individual has some special characteristics and if people work in a team then each member gets an advantage to focus on what he/she is best at. If the team works in a healthy manner, then undoubtedly people will work whole heartedly resulting in completing the task quickly and with more efficiency. This will allow the company not only to save money but also to be more competitive in the market. 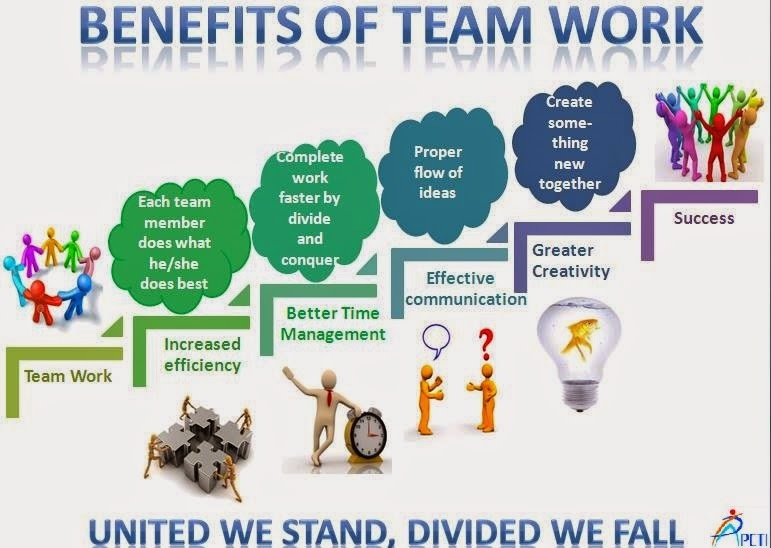 Divide and conquer strategy when used in teams helps with time management. If a number of persons work simultaneously and complete the tasks assigned to them according to their skills, overall work is finished in much less time and hence the main objectives of the organization are accomplished with greater speed. For example, in healthcare system the doctors, nurses and other staff members work as a team and do their part efficiently. If doctor alone has to do all the tasks then it would take a lot of time and will not allow the doctor to spend the most amount of time on their specialization which is treating people. Working in a team leads to better communication between the individuals. It becomes easy for the team head to give any information to his members. He doesn’t need to tell anyone anything in person, instead he can directly call for a meeting and express his views. It also helps in decision-making as there is no fear that any person is misguided due to fragmented information. A team includes diverse members who have different experiences in their own fields. When they come together to discuss and try to solve problems, everyone expresses their own view point leading to many innovative ideas. These ideas are no wonder much better than individual ones and hence increase the creativity of the group as a whole. For example, when there is outburst of any new disease, scientists from all over the world form a team to find its cure. Intelligent people when collaborate result in innovation. Great team work is ultimately the “mantra” for success. When all the members in the team work in good spirit, trust is build among them and this reduces stress. It increases their individual performance due to the learning environment built. Their morale is improved and hence their outcome. The organization gains from all this as it gets huge profits in this hyper-competitive market.